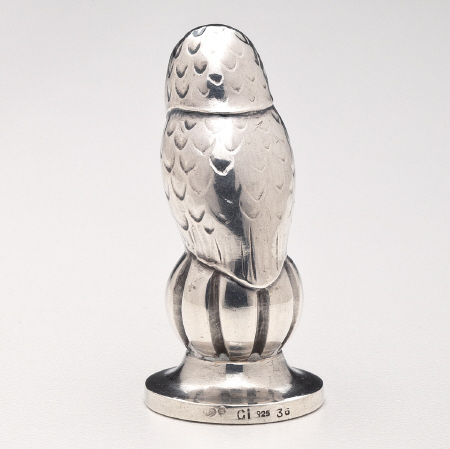 Georg Jensen 'Owl' Letter Seal No. 36. 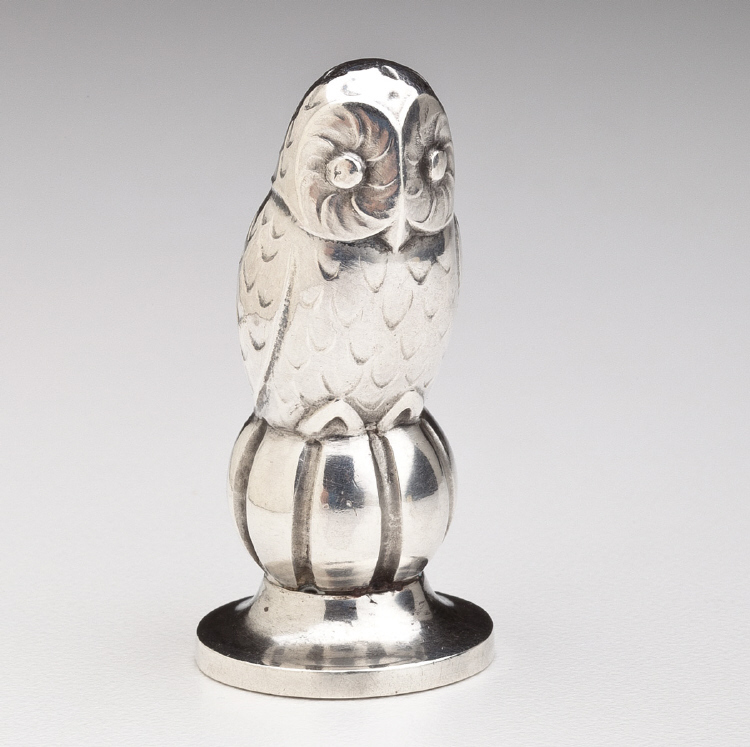 This unique seal is in the form of an owl was designed by Georg Jensen. The seal measures 1.625 inches high. The seal bears impressed company marks for Georg Jensen, 925, 36 and Swedish import marks. Please note: this seal is not engraved.